104 YEARS AGO in LONG BEACH, CA. Newspapers in 1914 were full of dreadful stories of floods, volcanoes and war. Here in Long Beach one of the worst gales in city history struck on February 20th. Trees and telegraph poles were leveled, railroad connections cut off and telephone service crippled. In June, Mount Lassen in Northern California erupted, marking a year long period of volcanic activity. The Mexican Revolution continued to rage throughout 1914 and rumors of U.S. intervention caused our local National Guard unit, Company H, to prepare for war. Turmoil also exploded onto the scene–on August 1, 1914, Germany declared war in Europe. Long Beach residents traveling in Europe rushed to get back to the safety of the United States. Yet returning home was not easy. Mrs. James Savery and her son were in Nuremberg when the war broke out. They had forty-eight hours to leave Germany before all trains were appropriated for troops. Somehow they managed to get a train, but their troubles had only begun. When their train arrived at the border with Holland guards forbade the German train to cross. All passengers were forced to exit the train, have their luggage carefully examined and their passports scrutinized before they were allowed to proceed on a Dutch train. The Savery’s managed to secure the last space on a boat leaving Amsterdam for England, witnessing the destruction of the Harwich when it ran into a mine in the English Channel. In England, after a week of standing in line waiting for cancellations, the Savery’s were able to book passage back to America. Long Beach women were also anxious to help in the European War. Margaret Virginia Dreble of 30 Linden Avenue quickly volunteered her nursing skills and was assigned to a field hospital in France. Her medical talents were augmented by the fact that she spoke not only English but French and German as well. Soon she found herself in charge of a full ward. One of her patients was a wounded French sergeant, who had been saved from death by his dog. The story made headlines around the world. The French sergeant was practically buried alive when the Germans blew up a trench he was in. He was saved by his old faithful dog, who he had taken with him when ordered to the front. The dog smelled his master’s scent and began digging away the earth until he uncovered the face of the wounded man. Exhausted, the dog sat there and howled and barked until some soldiers came along and rescued the man. Nurse Dreble bent the rules of the hospital by making an exception to the “No Dogs Allowed” policy, and eventually married the French sergeant. Amidst all this world upheaval, Long Beach launched its own political reformation by electing Louis N. Whealton mayor. This action, too, brought turmoil and unrest. The 1913 Empire Day disaster had shown the need for new governmental policies in Long Beach. The official verdict of the tragedy had been that Long Beach had grown too fast for governmental services to keep up with civic responsibilities such as public safety inspections. Long Beach was continuing its tremendous growth. In 1913 its population was estimated at 28,976 by 1914 it was estimated to be 45,948. This 60% increase stretched city services to the bone and the municipality could not keep up with the needs of the population. 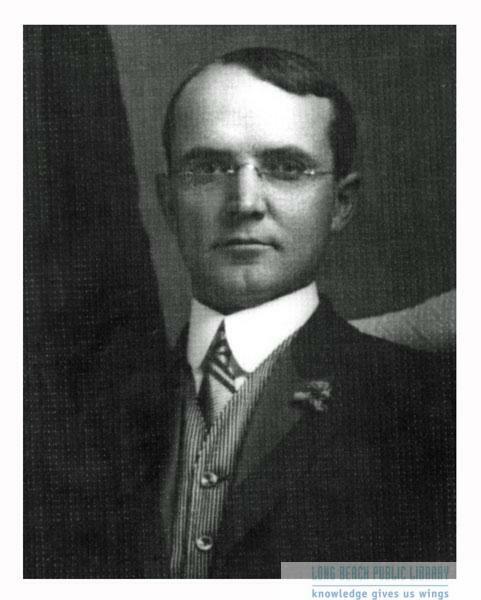 Louis N. Whealton was determined to change the way Long Beach government was run, and make sure it was run more effectively. He was also firmly against alcohol, and campaigned to keep it out of Long Beach. Whealton was at odds with former mayor Charles Windham and the many Windham supporters who suggested a more liberal stance towards alcohol and harbor development. This led to trouble and war, with Windham and his constituents winning one final victory in October 1914 when Long Beach citizens approved a new city charter. Whealton and his faction were opposed to a new charter, they felt that “the men who framed it were moved by the devil and whiskey”. (LBPress 10/14/1914). For years Long Beach had tried to get federal funding for harbor development. The government refused public monies for this project while it remained in the hands of private enterprise. In order for the city to get money for the harbor it needed to pass a new city charter which would allow Long Beach to issue bonds for port development. The Los Angeles Dock & Terminal Company agreed to deed outright to the city valuable harbor frontage if the bonds passed, which they did. Now the city could get together and develop what would latter prove to be one of Long Beach’s greatest assets. On February 26, 1914, Miss Victoria Ellis sent her resignation to the Library Commission citing irreconcilable differences between her and the Commission. She stated the Library Commission lacked confidence in her ability to direct the work of the library, and that back of the board’s apparent opposition to her was “an insidious personal antagonism.” The board had been trying to make Miss Ellis more of a public administrator, asking her to keep inventories, detailed accounts of how money was spent, and other paperwork she said she did not have time for. They kept asking her to tell them the number of volumes of biography, travel, science and fiction the library had in its possession and how much the collection was worth. They complained she couldn’t tell them the official name of the library. Was it the Long Beach Public Library, The Long Beach Public Library, Long Beach Free Public Library, or The Long Beach Free Public Library? She resented their intrusion into how she ran her department, stating that her health was suffering because of these “inharmonious” relations and it would be best if she resigned. On March 13th, when the City Council was preparing to recommend the resignation of the Library Board in favor of Miss Ellis, the mayor defied the City Council stating he would stand by the Library Commission and their decision to accept Miss Ellis’ resignation. Fifteen minutes of the most personal and heated disputation ever heard within the walls of the council chamber followed. The mayor intimated the whole matter had been stirred up by his political enemies, accusing the councilmanic committee of having held a “star-chamber session” with Miss Ellis, and that the council’s method of investigation had eliminated all possibility of an amicable settlement of the trouble. In the end the mayor won and Miss Ellis, the scapegoat of a larger battle, resigned. She let it be known she was going on to bigger and better things, having accepted an appointment to plan a big library exhibit for the San Francisco exhibition in 1915. Ironically, the Daily Telegram was preparing for a new advertiser–Camel Cigarettes. For several weeks a camel appeared in advertisements with a single word: “coming”. Eventually the entire Camel Cigarette ad appeared (the first cigarette advertisement in Long Beach as well as national newspapers), but the mayor had no control over the newspaper and the ad remained. In April there were rumors of a scandal brewing in the Police Department. Word leaked out that Mayor Whealton had employed outside detectives to investigate the department because the police had been lax in reporting and prosecuting illegal gambling and liquor law violations. On April 21st, leading members of the police force were given a thirty day suspension pending investigation of the charges. On May 27th, Detective O’Rourke, one of the accused police officers, resigned; on June 2nd Police Chief A.B. Austin also turned in his resignation. But Whealton’s zealousness continued, even after his term ended. In February 1920 the former mayor, now acting as an attorney, was struck in the face by patrolman Lewis Newbury when Whealton accused him of lying. 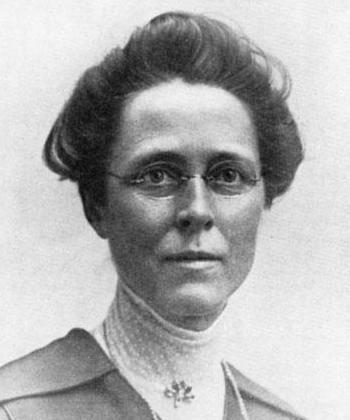 At issue was the case of Mrs. Joseph A. Farnsworth of the Dundee Apartments, whom Whealton was representing. Mrs. Farnsworth was accused of failing to keep her apartment house register properly. Could the apartment complex have been used as a rendezvous point for illicit activities such as the serving of alcohol or prostitution? Was Newbury somehow involved? In his address to the jury, Attorney Whealton called attention to conflicting statements alleged to have been made by Newbury and a woman witness for the defense, who intimated Newbury had altered some of the register records, not Mrs. Farnsworth. Whealton told the jury that if the woman was telling the truth Newbury surely had lied. This upset Newbury to such an extent that he removed his revolver, handcuffs and police badge and punched Whealton in the face. Patrolman Newbury said he felt his action was justified. Though he had certain duties to perform, as a police officer he didn’t feel being a law enforcement agent prevented him from upholding his honor and dignity as a gentleman. Whealton, in turn, declared he didn’t feel that an officer who attempted to take the law into his own hands should be allowed to remain on the police department. On November 16, 1914, a crowd of several hundred persons surged around Los Angeles City Hall to get seats in what most believed would be one of the most sensational trials of the decade. Late comers gladly paid $1 each to early bird entrepreneurs willing to give up their seats for a price. All were eager to hear the sordid details of the “social vagrant” clubs in which men met weekly changing their street clothes for kimonos, silk underwear and hosiery. Could this have happened in God fearing, righteous Long Beach? Thirty-one men had been arrested in a “sting” at a local bathhouse and all but one, florist Herbert N. Lowe, had confessed. One other, John E. Lamb, had committed suicide. On November 14, 1914, the Los Angeles Times published the names of those arrested. John E. Lamb and J.A. Hoyden, described as prominent church men, were fined $500 each. Other men who paid fines ranging from $100 to $300 were: C.C. Espey, F.K. Hinchings, L.E. Arnold, J.F. Storey, W.S. Austin, John Lain, Joseph Carrao, W.J. Tronholm, George Grimes, E. Keeler, Roy Lyburger, Aref Said, J.W. Kerr, John Link, Albert Leidstrom, L.K. Flint and W.J. McCandless. Those who received six months’ sentences in the county jail were: Arthur Clarke, Robert Forbes, C.F. Edwards, P.L. Flaherty, W.L. Mead, Neis Berglund, H.C. Kerlin, George Graham, W.R. Berry and Fred Long. After reading his name in the Times (local Long Beach papers didn’t even mention the arrests), John A. Lamb ended his life on the rocks near Point Firmin. A small package containing cyanide was found beside the body. It had been opened and part of it was gone. Long Beach officials quickly put a halt to the sale of all poisons in the city, in case any others implicated in the arrest should decide to follow Lamb’s lead. A note, found beside the body, was addressed to his sister Marian. In the letter the 40-year-old bachelor denied the allegations printed in the morning Los Angeles paper and stated he was innocent, but could not endure the publicity. Friends believed Lamb, out of curiosity, became involved in the sweep of the area by special vice officers Brown and Warren and rather than submit to the publicity of a trial, pleaded guilty and paid the heavy fine. W.H. Warren and B.C. Brown were secret service men working under Long Beach Mayor Whealton and Chief of Police Cole to get evidence against the group of Long Beach men whose “unnatural tendencies caused them to make advances to other men.” (LATimes 11/14/1914). Warren and Brown, highly recommended by Police Chief Sebastian of Los Angeles, hung out in wash rooms, bathhouses and cottages in Long Beach to get evidence against these men. They told officials that every one of the men mentioned in their report was unquestionably guilty of the charge they brought against them. According to Warren and Brown, gathering evidence was easy. Brown, the younger of the two had the facial appearance of a young woman. In the trial of Herbert Lowe the pair told of how they knew Lowe had a house to rent in the rear of his residence and, with full knowledge of the Police Chief, Brown, rented the cottage. Brown purposely avoided Lowe and the front house, located at the corner of Broadway and Junipero, but after the third day Lowe began to pay him visits at 4 o’clock in the morning. Warren and another officer quickly moved in, they installed a peep hole in which they could monitor Brown’s bedroom. From here they observed Lowe propositioning Brown and arrested him. The officers insisted that Lowe made a full confession as soon as he arrived at the police station. Lowe, however, denied any misconduct and claimed he was the victim of a “put-up job.” Brown and Warren, however, said Lowe told them before his arrest about the existence of a society of “social vagrants,” one men’s club was called “No. 96, “the other “No. 606.” All operated out of Long Beach where members met weekly. He offered to take the officers to the “606,” according to Warren’s story. At the functions of this peculiar society all the members would dress in women’s clothing, some even donning women’s wigs. The men put on makeup and engaged in orgies, according to the undercover officers. Members were also marked with an indelible cross on their chests, according to Warren. Lowe’s attorney told the jury that the arrest of Lowe was a “frame-up” on the part of the special officers, who were paid $10 a head for every man they arrested on the charge of lewd behavior. Although five witnesses testified that he was guilty, and four swore he confessed to the charge in their presence, Herbert N. Lowe was acquitted of the charge of vagrancy. “You don’t know these stool pigeons who come here to ‘get’ our citizens; you do know Lowe, who has been here for ten years. We don’t need strangers to come here to ferret out crimes,” Lowe’s attorney, Roland Swaffield, told the Long Beach jury. (LATimes 12/12/1914). He also accused Warren and Brown of having hands which “dripped with the blood of John Lamb.” The jury was out just half and hour before returning with the verdict. Police Judge Hart was aghast at the acquittal. He stated that only once in three years had a Long Beach jury brought in a conviction in his court. Nineteen times out of twenty the jurors found some reason for acquitting the defendant. Judge Hart was still hoping to land Harry A. Wharton, whose picture in woman’s clothing appeared in the December 12, 1914 Los Angeles Times. Wharton, it was said, was a prominent member of the club and boasted one of the finest wardrobes among the “queer” people. Wharton escaped the clutches of the law, but Charles E. Espey didn’t. Espey had been accused of lewd behavior in the bathhouse comfort station. At his trial on December 22, 1914, Espey, a wealthy Long Beach businessman and prominent worker in the First Methodist Church, claimed the undercover officers were part of an organized gang of blackmailers. When asked about the indelible cross on his chest, Espey claimed it was placed there at the time of his arrest by Warren and Brown. He was not the one guilty of degeneracy, it was Warren and Brown. Espey, too, was acquitted, but in this case it took the jury 9 hours, and a free lunch, to reach a verdict. In March 1914, Mary Eeles was overjoyed to hear from her daughter. The widow, who resided at the St. George Apartments in Long Beach, was given several letters from her daughter by Thomas McCullough, a supposed clairvoyant. Mary’s daughter was going to take care of her mother, even from beyond the grave, McCullough claimed. In the letters Mary was told to dig under her old home in Dallas, Texas, where she would find $275,000 in gold nuggets, left there by a mythical Sam Mohawk, an Indian bandit who flourished along the Gulf Coast. Mrs. Eeles believed what McCullough told her and gave him $15,000 from her dead husband’s estate to do the search. 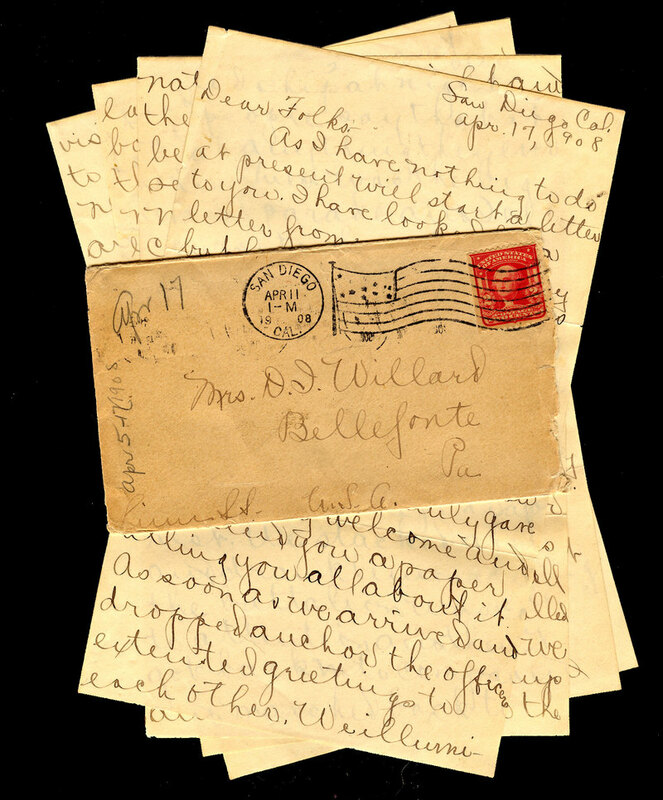 She claimed that the writing on the letters greatly resembled the handwriting of her daughter and contained facts that McCullough could not have known. It was later revealed that McCullough got his information from a female assistant who sold cosmetics door-to-door and became acquainted with susceptible widows with money. McCullough and Mrs. Eeles left Long Beach for Dallas, but for some reason they went to Chicago, where Mrs. Eeles saw him deposit ashes from a mysterious paper into the waters of Lake Michigan. He told her it was to assist in locating the gold. From Chicago they went to Toledo, Ohio, where McCullough disappeared. Mrs. Eeles returned to Long Beach and was met by Sol Alexander, who claimed to be a Federal official. He told Mrs. Eeles he would find McCullough and began by borrowing $10.40 from her to send messages to his alleged agents throughout the country. Later on he got $75 from Eeles to pay agents who were hot on the trail of McCullough; followed later by a loan of $225 to get photographs of the fleeing McCullough. (Mary had to sell her piano to get that $225). Then came the big “touch.” Alexander wanted $2500 to go east and get McCullough. Mary didn’t have the cash and Alexander recommended she see Paul M. Reidy who, he said, would loan her the money. She went to the City National Bank in Long Beach and met Reidy. He agreed to loan her $3000 on property she owned worth $14,000. Reidy gave her the money, taking deed for the lots and executing an option giving the woman 90 days to repurchase the property for $3052. By April 1915, a Federal jury was looking into what everyone was calling the “spook” case. Reidy and Alexander were on trial, McCullough could not be found. Mary, a native of Mexico, widow of Dallas veterinary surgeon Harry E. Eeles had come to Long Beach three years earlier with $27,000 in gold. Now she was totally destitute living on the good will of the Odd Fellows of Texas, an order of which her husband was a member. Desperation rather than justice won Mary Eeles over. In an agreement with Alexander to have him return her $3000 she signed a statement stating that Alexander had not represented himself as a government officer. The prosecution alleged that Mary had been taken advantage of once again and that she was more interested in getting money to live on than she was in prosecuting Alexander. It was Paul Reidy who turned the tide, testifying that Alexander had posed as a federal agent and misrepresented himself to Mary Eeles. Sol Alexander was sentenced to two years in San Quentin for impersonating a federal officer. Paul Reidy was released but did agree to pay Mary the money that Alexander had obtained from her. One good thing was to come out of the devastating floods of 1914–flood control. Los Angeles County sustained heavy losses of both life and property when flood waters from the Los Angeles and San Gabriel rivers washed away hundred of acres of valuable land and silted the harbor. Highways and bridges were also demolished because of the tremendous force of the raging waters. In March 1914, a flood control project was launched by the County Board of Supervisors. Cities, chambers of commerce, civic associations and other interested parties were asked to consider ways of controlling flood waters. A telegram sent to the War Department and to Congressmen in Washington D.C. asked for a representative at the conference. This meeting, held at the end of March, resulted in the creation of the Los Angeles County Flood Control association. Many meetings were subsequently held and through funding from this organization county engineers made a careful survey of past damage and established a plan for flood control. Following the survey, a bill was drafted asking that a portion of the expense for flood control be paid for by the United States government, the state and county, and a small amount from the owner of the property receiving a direct benefit. The engineers recommended a comprehensive plan for conservation work, for channel protection, and for the diversion of the Los Angeles and San Gabriel rivers, from Long Beach and Los Angeles harbors, into Alamitos Bay. They also recommended a diversion dam be constructed from a point near Dominguez Hill to Signal Hill to safeguard the harbor interests. In April 1914, the crew and actors from Long Beach’s Balboa Film Studio left on a ten day trip to Mt. Lowe, Mt. Wilson and Mt. Baldy to film snow scenes. Getting there was not easy. Equipment was left at the foot of snow clad Mt. Baldy and the climb made on horses with mules carrying the film equipment. In June, the company left for a warmer climate–Honolulu. 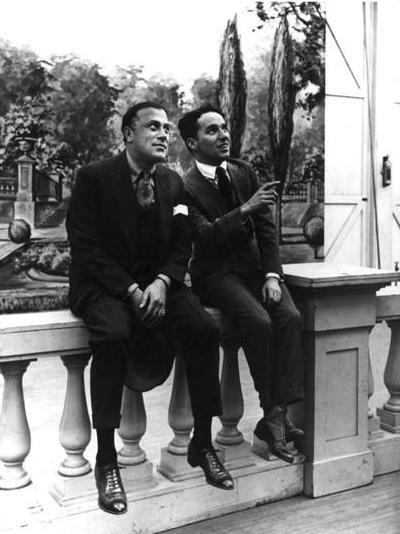 The Horkheimer brothers, who owned the studio, believed in shooting action footage for a number of pictures at the same time, making their production more cost productive. These innovative methods were also getting them recognition in the film world. On January 10, 1914, the Daily Telegram announced the company’s pictures, which had been largely sold and shown under the Pathe label, would now be released under the Balboa name. They were making a name for themselves. In May, H.M. Horkheimer traveled to New York to consummate a deal with William Fox of the Box Office Attraction Company. Fox’s company was to have exclusive control of all Balboa productions which they would sell to contacts in North and South America, the West Indies and Europe, all under the Balboa name. This was good news to the Horkheimers who once had conned the local sheriff and his deputies into appearing on film. According to Terry Ramsay in “A Million and One Nights: A history of the Motion Picture,” the law had been called out to seize the studio for unpaid debts. The Horkheimers then began to film the scene as they were presented with the legal documents. The police, wanting their friends to see them in the film, delayed serving the papers giving the Horkheimers enough time to come up with the money they owed. 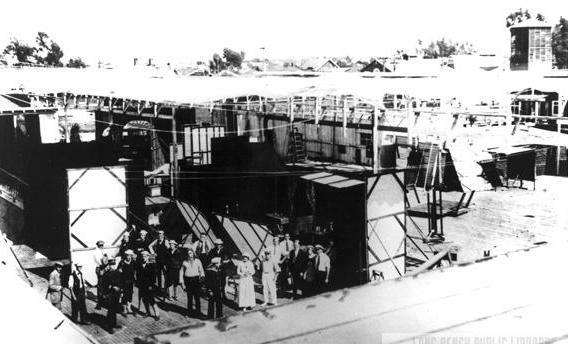 Many innovations in movie production would be made at the Balboa studio in Long Beach. Now largely forgotten in Hollywood film lore, the Long Beach movie plant was the first to try night filming, they also made marvelous discoveries in color film, and recognized the value of advertising. But most importantly they instituted a new idea in movie making—the serial. The Daily Telegram loved reporting on the latest developments of Long Beach’s own film company. On September 1, 1914 ,they told of a marvelous discovery—Robert Brotherton, chief chemist at the Balboa studios had discovered color. While Robert Brotherton, chief chemist at Balboa, was hard at work making historic discoveries in tinting and toning, a long running ad in the Daily Telegram caused the Balboa Film Studio some concern. The ad stated that anyone could learn to write screen plays for the movies by buying the advertiser’s book. Many people responded, bought the book, and deluged the local studio with movie plays. In 1914 Balboa also instituted a new idea in film making—the serial. Recognizing the success of serials in magazines, Balboa Studios decided to create a series of twelve human interest films involving questions everybody was familiar with—love and romance, marriage and death—and which the world had been disagreeing about since the beginning of time. A trailer at the end of each serial would ask the question “Who pays?” They offered one thousand dollars in gold to the viewer who answered the question at the end of all twelve “Who Pays?” serializations correctly. Balboa was also one of the first film studios to recognize the value of advertising in trade journals. In the December 25, 1914, issue of Variety, Charles H. Peck, assistant general manager at Balboa, wrote an article entitled “How Advertising Sells Pictures”. Peck wrote there was a real need for the public and exhibitors to identify with “quality” pictures. Up to now, he stated, anything that had been made had been released, with the public having no idea whether they were going to see a good film or a bad one. This had been why William Fox made the decision to drop all foreign feature films and concentrate on good American products. Fox said the problem was purely the fault of the European manufacturer who exercised very poor judgment in the selection of film for export to America. Some of them selected their worst features, since they wanted to make a profit on their investment, and sent the poorer quality films to America. When American film distributors received a consignment of foreign films, instead of rejecting the ones not meeting their standards, they sold them for whatever they could get. Being bad in the first place, they left a bad name for the foreign picture in general. It had gotten to the point that the American public seeing a foreign picture advertised would go out of their way to avoid it. In general, films were returned to the manufacturer after an eight month run. There were so many of them that exhibitors didn’t know what they were showing. In the days before film reviews, Peck felt advertising would establish a brand of pictures in the theater owner’s and public’s mind, similar to what Disney pictures have done today. He said he advertised in trade papers such as Variety, to let exhibitors know Balboa had confidence in the films they made and that they would stand behind them. If theater owners booked a Balboa film they knew they would get a quality film. Balboa executives also made sure the local press took note of their activities. Early day press releases were sent out to area newspapers keeping the public informed of the latest Balboa developments. In November 1915, the public read that “Balboa golf” was the newest sport invented by some of the studio’s actors. Between takes, when they had nothing to do, cast members marked off numbered circles on the floor and a form of shuffleboard ensued with performers trying to put small blocks, pushed by a stick into these “holes.” Another article that same day talked about Balboa’s navy. The latest addition was a motorboat, described as one of the fastest in Long Beach’s harbor. Besides being used in movies, the boat took the movie crew up and down the coast and across to Catalina. ” They had put in a busy day working aboard the U.S.S. Colorado in the San Diego harbor, on several important scenes of the serial. In order to get back in time for work at the studio the following day, a forced run was to be made. The greater part of the roadway was paved making speedy travel safe under ordinary circumstances. Several sharp turns along the hills that must be crossed. It was one of these that came near proving the party’s undoing. The big Locomobile was heavily loaded, so that as it swung around a curve on the crest of a hill the weight shifted an instant and sent the car crashing into the guard-rail at the outer edge of the road. By jamming on the brakes, the car was brought to a stop, but only after part of the rail had gone through the radiator. The people in the car saw what was coming. But there wasn’t an outcry. They all stemmed themselves, sat tight and were prepared for the worst. When they realized that the machine had been halted on the brink, they piled out and as they did, the roadway began to crumble and the car gradually began to role over the declivity. By sheer might, the men of the party were able to hold it until the engine could be started. It ran just long enough to get back on the road and then stopped. Another “tragedy” was reported in the June 10, 1916 Long Beach Press. William Beckway, chief cameraman for Balboa was filming a scene with a bull at one of the local dairies. Suddenly the bull charged him. The fleeing Beckway caught his foot in the barbed wire fence, fell, also scratching his face on the barbed wire. In 1907, the motion picture industry had been in its infancy and was regarded as a novelty, a freakish invention, and those engaged in the business firmly believed that it would die an early death. But in spite of the general pessimism that prevailed, the motion picture industry by 1914 had become the fifth largest money making industry in the world, with only steel, agriculture, railroads and mining surpassing it. Balboa Studios, in business for only eighteen months and already one of the big factors in the motion picture world, was making $250,000 a year, with expectations of $500,000 by 1915. In August 1914, H.M. Horkheimer returned to Long Beach following an extensive business trip to New York and London. The trip was taken to expand the market for Balboa films. Balboa now had three separate companies at work in the local studio, and a fourth company of players was under consideration. Two of the troupes were filming dramas, and the other comedies. The company was also still planning to stage a great spectacular drama “Balboa” at the Panama-Pacific exposition in San Diego, and for this historical production 350 extra players would be needed. This meant a great deal to Southern California film makers who were now producing about 85 per cent of all the motion pictures made in the United States. The local motion film industry was never in a more advantageous position that during World War I. 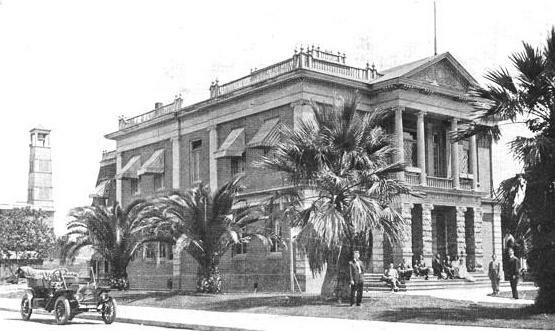 In June 1915, Balboa purchased additional property on Sixth and Alamitos Avenue spending nearly $500,000 to increase stage space and erect new buildings. With this expansion, Balboa could increase their production of 12,000 feet of film a week to 30,000. In 1913, there had just been one small building, by 1915 there were eight. Stage capacity was enlarged 100 per cent to total 8,000 square feet. One section was entirely enclosed so that by using artificial lights work could proceed night and day, no matter what the weather. Balboa was truly living up to its reputation of being one of the largest independent producing studios in the world. In September 1914, Dan W. Michaels of Selma, Calif. visited Long Beach with his new invention–a devise to locate oil or water underground. Though Michaels refused to discuss his secret invention, those who saw it said that it was an instrument about 15 inches long and was probably made of metal, though it was covered at all times by a chamois case. Its method of locating underground fluids was peculiar. When set down on sterile ground it registered neutral by standing straight up, but when a vein of oil or water was reached it gyrated and bobbed close to the ground, pointing in the direction of the vein sought for. Michaels’ invention showed there was oil in the Long Beach harbor sufficient to produce 20 barrels daily and that there was also oil on the outskirts of the City. Michaels said he had been offered fabulous sums by a great oil company for his secret, but he would not part with it for private gain, preferring to dedicate it to the public good. Electrician Wesley Powell was wiring A.J. Horner’s empty store at 237 Broadway in September 1914, when he came across two desiccated bodies in the attic. After a hasty departure, Powell contacted police who thought the two shriveled remains were those of murder victims. An autopsy revealed that the only human parts of the mummies were the skulls, the remainder of the bodies being wood, course cloth and glue. How the mummies came to be in the East Broadway store was a question still puzzling the owner and the police. Jane Harnett, head of the history department at Poly High School, made an interesting discovery when, in May, she took her students on an outing at the Rancho Los Alamitos–the site of an ancient Indian Village. Some of the boys, who hunted ducks out that way, had heard Japanese vegetable growers, who leased the bottom land from Fred Bixby, tell about finding Indian pestles and mortars further down toward the bay. When the boys told Miss Harnett she arranged a field trip to gather artifacts for the school’s 1915 Long Beach Pageant.. They already had a number of rare exhibits in the way of Indian skulls, arrowheads and other artifacts. While no Indian relics of great value were found, the ground having been pretty thoroughly scanned by the Japanese, the relic hunters picked up some shell objects and were convinced they had stumbled upon an old village. This wasn’t the only Native American site Miss Harnett was involved with in 1914. In March, a flood unearthed what some believed to be the ruins of an ancient temple in the northwest portion of the city. The river had changed its course, cutting a new channel about six feet in depth. While doing so it unearthed what looked like the paved floor of an ancient building. Upon investigation Jane Harnett said that it was impossible to say positively whether it was simply a natural formation of the soil or the ruins of an ancient building, although it looked very much as though it were the paved floor of some material fashioned by man. Another prehistoric find surfaced in the clay banks of the brick yards at Fifteenth and Chestnut in August 1914. Stone implements, probably used for grinding corn, were found eight feet below the ground. The finds included a slab of hard, flinty stone two feet long by nine inches wide, well worn in the center of one side, and two stones each about fourteen inches long and three inches in diameter, which could have been used as crushers. Interesting paleontological finds were discovered at the Long Beach Brick Yard at Seventh Street and Ximeno. A whale, camel, horse, mastodon, and ground sloth were all uncovered between June and July 1914. In December, the bones of a buffalo were unearthed. Paleontologists from the County Museum estimated that these animals may have lived 250,000 years ago, preserved in the oily clay of Long Beach. 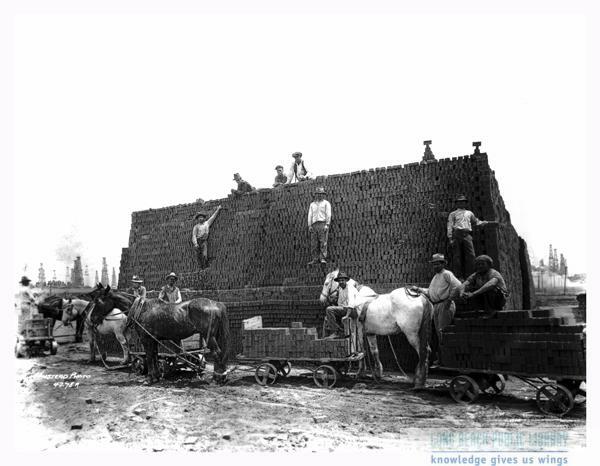 J.J. Chamberlain was foreman of the brick company. He had been working in oil fields and clay pits for over twenty years and had made some interesting discoveries. In Brea canyon, he helped remove a tiny fossilized man from asphalt beds, he also dug for saber-tooth tigers and other prehistoric animals. Perhaps his most fascinating experience dealt with finding the prow and keel of an ancient ship, or gigantic canoe, near Los Angeles. It must have been fifty or sixty feet in length, when whole. Only partially realizing the value of their find, Chamberlain and his associates called an old man living in the area, who was interested in such things, but it was impossible to preserve it. It crumbled away to dust when exposed to air. All that remained were memories of the strange find —it was crudely fastened together with wooden pins. Could it have been a Viking craft? Chamberlain wondered. The glamour of aviation continued to lure many skyward. One of these was Jotham Bixby, Jr. In January, Bixby took his first flight with Earl Daugherty and Glenn Martin. When aviator Martin shut off the motor at 3000 feet, took his hands off the control and allowed his aeroplane to glide halfway to earth, Bixby declared he liked flying better with the motor going. 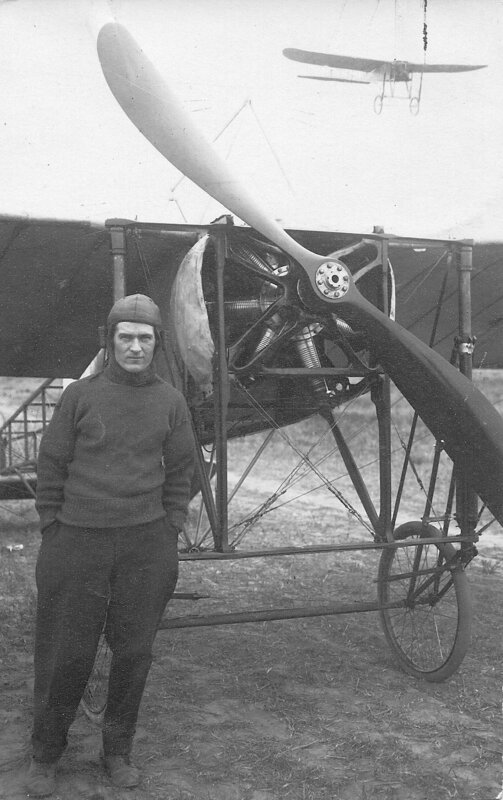 But flying was dangerous, and the lesson Martin tried to convey was that an aviator must be prepared for anything. Many local aviators, who began their careers entertaining visitors to the Pike, joined the barn storming circuit, traveling across the U.S. offering flying demonstrations–if the price was right. Chief among them were Frank Champion and Earl Daugherty. Frank, who had almost lost his leg in an accident in 1912, had to undergo further surgery. A slender piece of bone, about six inches long, was removed from his uninjured leg and wired into the broken place in the other limb. The surgeons believed this would strengthen the bad leg and eliminate limping by making the limbs equal in strength. The inserted piece of bone, however, did not knit with the other bone, and Frank had to go back to the hospital and have it removed. Champion had made quite a bit of money flying, but he had heavy expenses, largely on account of his injured leg. In 1916, Champion went to Japan as mechanic for noted aviatrix Katherine Stinson. Later, he began making flights on his own in China and Japan. On November 1, 1917, word reached Long Beach that Frank Champion had been killed when his aeroplane fell 4,000 feet in Kochi, Japan. In the morning he had made a successful flight in the presence of 100,000 spectators on the Askura military parade ground and received a tremendous ovation when he landed. In the afternoon he was making a series of corkscrew flights when his left wing gave way and fell off his aeroplane. His skull was crushed and his left arm and leg were fractured; his death was instantaneous. Born in 1884, Long Beach’s first airman enlisted in the United States Navy in 1902 and was a gunner’s mate when he left the service in 1905. A graduate of the Illinois College of Photography, he came to Long Beach in 1907 and joined Henry M. Reithner in operating a photography studio on the Pike. It was while he and Reithner were partners in the Burro photo studio that Champion, while taking pictures of the aviation meet at Dominguez field, became enthusiastic over the air sport. He soon decided to leave the photograph business in his partner’s hands and go east to study aviation. He went to St. Louis but wanted to learn more so he proceeded to Henden, England, where he remained about five months, receiving flying lessons. He later brought his skills back to Long Beach where he taught others, such as Earl Daugherty, how to fly. 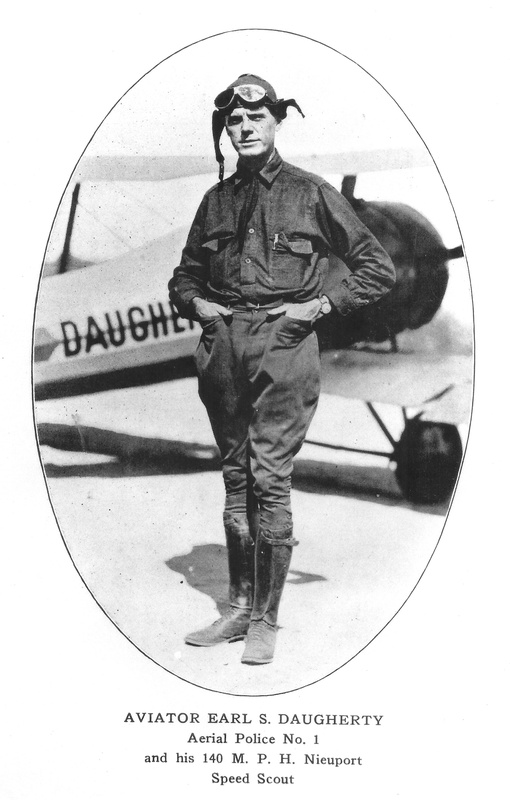 Henry Reithner felt Earl Daugherty was one of the best aviators in the country. The Daily Telegram on September 25, 1914, ran a report from a Michigan newspaper confirming Reithner’s claims. The Greenville Independent gave glowing praise to Earl Daugherty saying he was the star of their local fair. Thousands who had never seen airship flights were treated to an amazing performance when Daugherty reached an altitude of 2,800 feet, “volplaning” with no power to the center of the fair grounds without making a spiral. Aviator Daugherty and his machine, the Greenville paper reported, were the strongest combination in air flights pulled off at any fair in the state that year. On September 22, 1914, the Harbor Commission received news that Uncle Sam had agreed to their recommendation to rename the island. “Dana Isle” had been the first recommendation, in honor of Rev. Dana Bartlett, member of the Commission of Immigration, also for Richard Henry Dana, who reported on his voyage to California in Two Years Before the Mast. The women’s suggestion met with courteous rebuff, and the government decided on the name “Reservation Point”. One of Long Beach’s, and California’s, most prominent citizens, Col. Sherman O. Houghton, passed away August 31, 1914, at his North Long Beach home. Houghton was born in New York City on April 10, 1828. At the age of eighteen, after completing his college education, he enlisted in the First Regiment of New York Volunteers for the war with Mexico and later came with his command around Cape Horn to San Francisco. From San Francisco he accompanied the detachment of his regiment to Mexico and fought in several conflicts with Mexican troops. At the close of the Mexican War he returned to California in October 1848. He was in the right place at the right time, for gold was discovered shortly after his return to California. He was one of a party of four who were the first to dig gold in the profitable mining district of Sonora, California. In the latter part of 1849 he settled in San Jose. He soon became an active political figure. After serving in several municipal offices Houghton was elected clerk of a Senate committee in the first legislature of California, and in 1854 was a deputy clerk of the State Supreme Court. In 1855-56 he was Mayor of San Jose. In 1857 he was admitted to the bar and three years later was admitted to practice in the California Supreme Court. For a number of years he specialized in settling titles to old Spanish and Mexican grants before the United States Court, representing almost all of the original holders of California lands. His command of both French and Spanish aided him greatly in this pursuit. During the Civil War he was ordinance officer on the staff of Major General Henry Halleck, senior Union Army commander in the west, training a company of infantry and another of light artillery for active service in the army. Col. Houghton was a member of the 42nd and 43rd Congress (1871-1875), and instrumental in securing government funding for San Pedro harbor and inducing the Southern Pacific Railroad to place Los Angeles on its main line. He came to Southern California in 1886 from San Jose with his law partner Charles Silent. Together with Alexander Campbell they formed the Los Angeles law firm of Houghton, Silent & Campbell. He retired in 1900 to his ranch in North Long Beach. He married twice, both of his wives girls in the ill fated Donner party. His first wife was Mary Martha Donner, daughter of Jacob and Elizabeth Donner, whom he married in 1859. They had one child, Mary, known as “Mollie.” Mrs. Houghton died June 21, 1860, from complications related to childbirth. Mollie was only two weeks old. The following year (October 10, 1861) he married Eliza Poor, a daughter of George and Tamsen Donner, and a cousin of his first wife. With Eliza he had seven children: Eliza Poor, Sherman Otis, Clara Helen Sally, Charles Donner, Francis Irving, Stanley Washington and Herbert Sutter. On September 2, 1914, Col. Houghton was laid to rest at Rosedale Cemetery in Los Angeles. Eliza Poor Donner Houghton died February 19, 1922, exactly 75 years after the arrival of the first relief party to rescue the stranded pioneers. Born March 8, 1943, in, Springfield, Illinois, she was survived by four children: Eliza, Clara, Stanley & Sherman Houghton, Jr. and her half-sisters Leanna Charity Donner, and Elitha Cumi Donner. She is buried next to her husband at Rosedale Cemetery. 26 – Forty-eight hour storm floods northwest section of the city. 17 – Public library inaugurates weekly storytelling for children. 21 – Worst flood in history of the Southland. 27 – Long Beach’s Balboa Film Co. installs complete printing department to develop motion picture films. 13 – Dr. Booker T. Washington visits Long Beach. 8 – U.S. Board of Engineers formally disapproves of Long Beach harbor development, no federal funds will be available for development. 9 – Long Beach Chamber of Commerce believes city should proceed with harbor work; asks for sale of $650,000 in bonds for development of harbor. 14 – Grammar schools of city to be renamed; obsolete custom of classing them according to location is to be abandoned. 18 – Trouble brewing in police circles; neglect charged. Mayor employs outside detectives and stirs up unsavory scandal. 21 – Police heads are given suspension for 30 days pending investigation of charges of neglect of duty. 24 – Mexican Revolution heats up; local national guard unit awaiting orders to go to front. 25 – Craig shipyard will seek new location unless Long Beach harbor improved. 1 – Brick yard (by current Recreation Park) announces finding big section of fossil bones forty feet underground. 15 – Auto Club creates a Long Beach district; will maintain permanent headquarters at Hotel Virginia. 3 – Police Chief Allen Austin hands in resignation. 30 – Tuna canning industry in Long Beach harbor area now in full swing. 1 – Fireworks are prohibited on the Fourth. 3 – Band master E. Harry Willey files his resignation, tired of using his own money to keep Municipal Band going. 7 – After much public uproar over Willey’s resignation band troubles are straightened out. 9 – City loses first case in last year’s Empire Day disaster. Will appeal to Supreme Court. 29 – New Chief of Police is taken from the ranks: Sergt. Charles C. Cole is appointed. 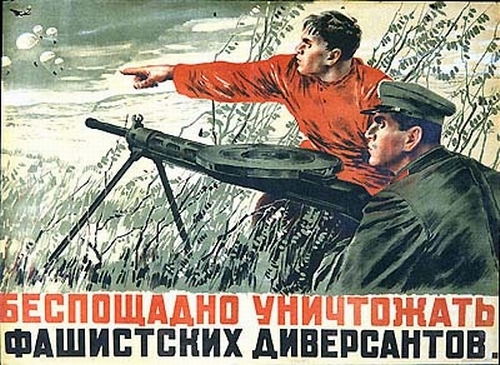 1 – Germany declares war in Europe. 10 -Alexander Alexieff, young Long Beach Russian resident, goes to New York to enlist as reservist. 20 – Water meters being installed in Long Beach. 3 – Kenen Motor truck factory at harbor is completed. 7 – Horace Mann school building at Eleventh Street accepted by Board of Education. 22 – Dead Man’s Island in San Pedro Bay is renamed Reservation Point. 3 – Special tax levy approved for harbor funds. 16 – New City Charter wins by small majority. 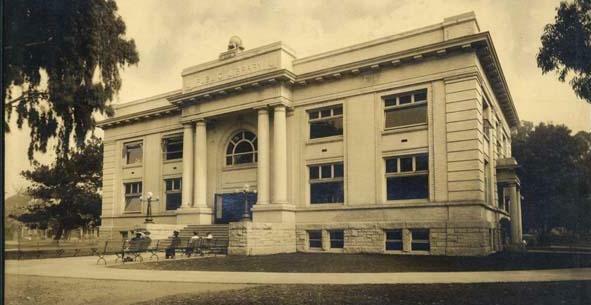 17 – Municipal Auditorium, damaged in the Empire Day Disaster will be rejuvenated, not completely rebuilt. 21 – Long Beach credited with 45,948 population. 27 – St. Anthony of Padua Catholic Church is dedicated. 31 – Romance born out of disaster: aged victim of Empire Day tragedy to wed his nurse on New Year’s Day.